Doing The Charleston | Hapa...Shot the Food! Funnily enough, I happened to take shots of almost everything but the food while visiting my brother in Charleston over the weekend. 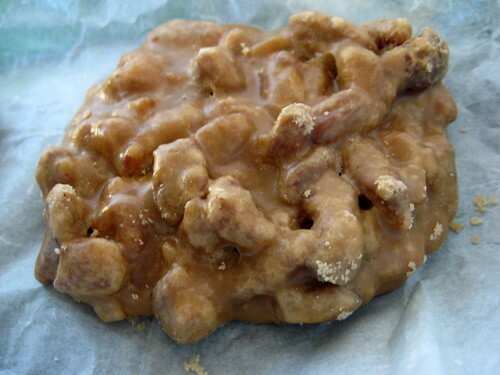 When I lived there, it was just Market Street Munchies (who are now in West Ashley of all places) that made pralines on-site. Nowadays, Charleston’s Market Street boasts two (maybe even three) shops that make the confection fresh throughout the day. Posted on May 27, 2008, in eating out, travel, Uncategorized and tagged candy, Charleston, pecans, pralines, South Carolina, sweets. Bookmark the permalink. Leave a comment.